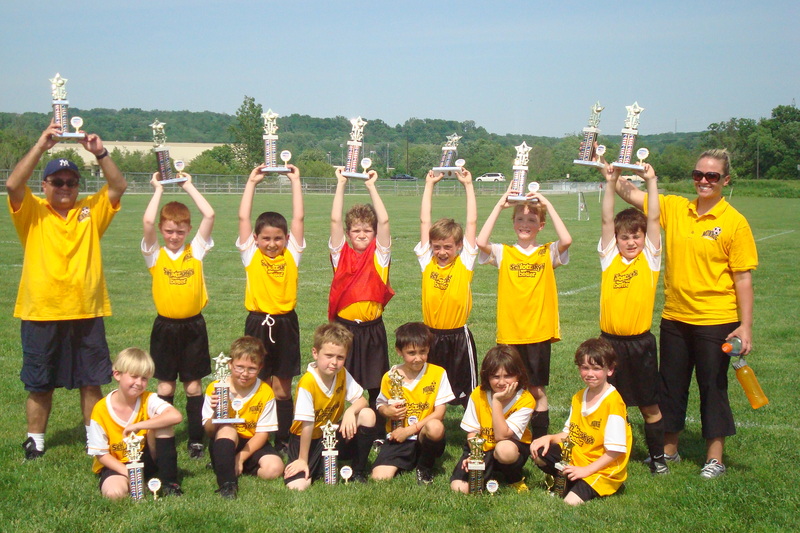 Monroe SAY Wings boys finished the spring soccer season in style by bringing home the championship of the sixth annual Memorial Tournament in Milford, OH which was held May 28-29, 2011. The boys went 3-0 in the preliminary round outscoring their opponents 12-1 to qualify for the finals. In the finals the boys won a hard fought 4-3 victory to bring home the Title. Congratulations boys on a great tournament! The team was coached by Emad Hamdan and Amy Mink.